What if we took our powerful and sensitive ultra-weighing system and approached it with the familiarity and intuitiveness of modern touch-screen devices? What if we designed a balance where every feature and application was as easy to access as applications on your smart phone? What if we made a balance that monitors itself, so you would be confident that you’re getting the most consistent and verifiable results? And, what if we made a balance so easy to use, you would never have to read the manual? Well, we did. The Precisa H Series. 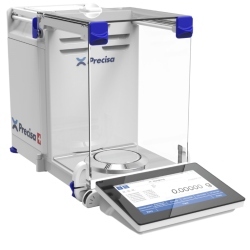 A semi-micro and analytical balance range with touch screen software built from the ground up. With the models HF and HM Precisa is setting new standards. With the easy to use menu, inspired by to the top smartphones, you will be familiar within seconds with your unique balance and exploit its full potential. Our new unique balance series offers you the best ergonomics, including an ultimate low weighing pan access level, the lowest on the market! Weighing processes can now be performed more comfortably, ergonomically and with ease. Specifications subject to change. All balance functions are available at your fingertips on this smart and bright color display. According to the built-in color logic, all the touch active surfaces – marked by a key or a selection – are drafted in blue. The balance user interface is intuitively easy to operate. The operation model took inspiration from the best smartphones as well as absorbing the most elegant features – just for you. Tap on the touch active, blue colored button and surf with ease . 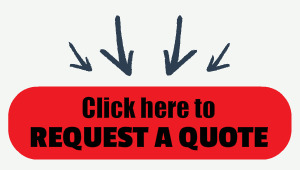 There is no way to get lost because of the always available "Home" button, which takes you conveniently back to start. The weighing chamber is designed in a way that neither powder nor liquids can contaminate the weighing system. The bottom plate is equipped with a tear-off edge preventing liquids to penetrate inside the casing. All draft shield parts, top and side glasses, weighing pan, can easily be removed without any tools and placed into your lab dishwasher. The sophisticated door design without any guide rails or channels facilitates an affordable, easy to clean construction.